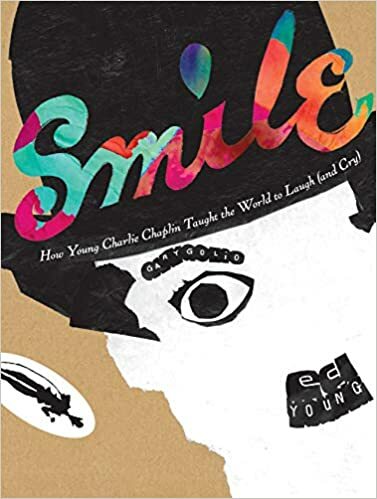 Summary: Charlie Chaplin’s life is chronicled from his impoverished childhood in London up to his creation of his iconic Little Tramp character in the early days of his movie career. In spare text, Golio tells how the young Charlie enjoyed his mother’s stories and sometimes earned a few pennies singing and dancing in the city streets. An illness forced his mother and her two young sons into the poorhouse. When they got out, Charlie was able to help his family when he joined a theater troupe at the age of nine. His stage career continued into adulthood, when he was spotted by Hollywood filmmaker Mack Sennett. Charlie made a movie with Sennett…it was funny, but the director wanted something even funnier. Rummaging through the prop room, the actor found baggy pants, a small topcoat, and a bowler hat, and the Little Tramp was born. Includes an afterword, additional facts about Chaplin, and resources for further information. 48 pages; grades 2-6. 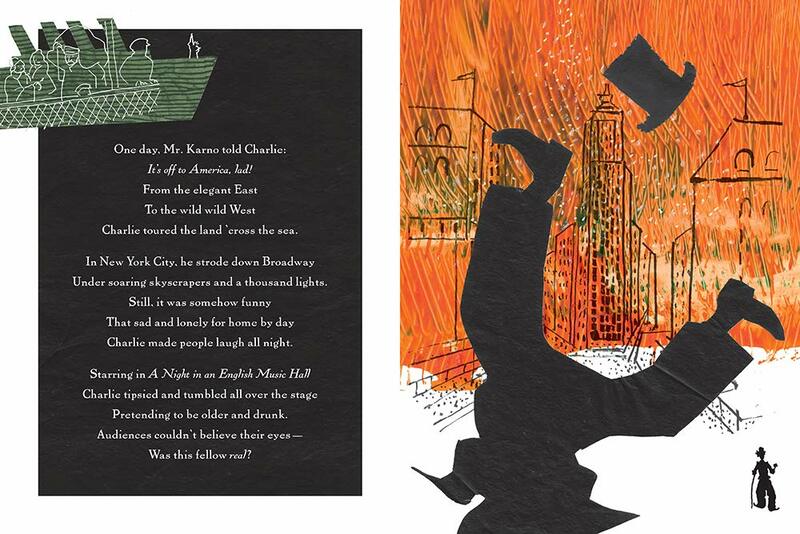 Pros: Caldecott Medalist Ed Young has created intriguing collage illustrations that complement the brief, poetic narrative of Charlie Chaplin’s life. Readers will enjoy the flip animation of the Little Tramp that appears in the lower right corners of the pages. Cons: Kids may not know who Charlie Chaplin is.